My guest today is Martin Lee who writes under the name M.J. Lee. He is a bestselling author of historical crime fiction and his books include the Jayne Sinclair genealogical mysteries, Samuel Pepys and The Stolen Diary, and the Inspector Danilov series which is set in 1920s Shanghai. Before turning to novel writing, Martin spent 25 years working for advertising companies in London, Hong Kong, Taipei, Singapore, Bangkok and Shanghai. For more on M.J. Lee and his books, visit www.writermjlee.com or find him on Facebook or Twitter. 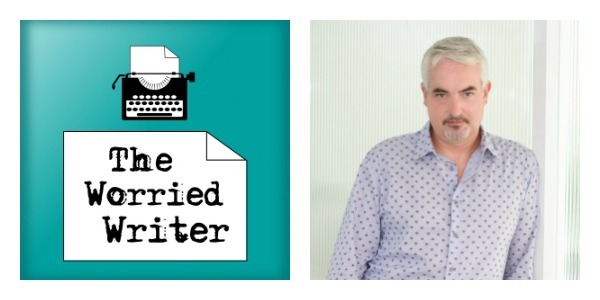 We talk about the skills he brings to novel-writing from his experience as a creative director, plotting versus ‘pantsing’ and Martin’s own process. Apologies for the sound quality in the interview – we had some technical difficulties. I’ve done my best in post-production and I hope you can still enjoy it, as Martin and I had a really good chat! I also answer a listener question from Janine Swann. I’m currently editing my first draft and am struggling to come to terms with the ‘taste gap’ (Ira Glass’s quote, in case you’re not familiar with it). I’ve been reading Jojo Moyes’s latest novel which is just fantastic, and returning to the editing afterwards is really rather difficult. I struggle to imagine my writing will ever be as good, and I so desperately want it to be. Do you have any advice? You can read the Ira Glass on the ‘taste gap’ quote here. I think the key to this lies in focusing on practice over product – something I talk about in detail in Stop Worrying; Start Writing! If you have a question you would like answered on the show, do get in touch. You can email me, find me on Twitter or simply leave a comment on this post.